Local wildlife photographer, Ken Clark of Wolfshead Photographic has been announced as first in a number of Lancashire artists to exhibit at Blackburn Market. 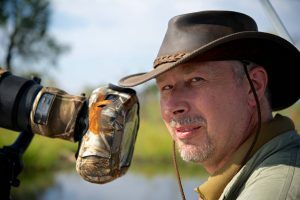 Ken has always been passionate about the natural world and will happily spend days researching his subjects and often waiting for hours in cold hides for a subject to accept him into their world. He has recently been working extensively in the UK with hare, barn owls and dippers in the countryside close to his Lancashire home. Ken has travelled extensively, having recently been to Botswana and Zambia photographing the remarkable wildlife there. However all this travelling is not without its dangers and Ken has reportedly narrowly missed standing on an 8-foot long crocodile while photographing weaver birds in Ghana! He finds the same fascination with the natural environments close to home, spending a great deal of time in the Trough of Bowland or in the Highlands of Scotland photographing the majestic Red Deer. Ken’s exhibition at Blackburn Market runs from 14th April.